Please contact the Vending Machine Service Companies IN VENEZUELA VZ (SOUTH AMERICA) listed below. 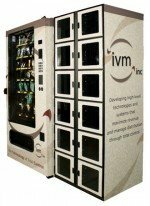 These vending machines suppliers may offer these varieties of Vending Machine types: Snack, Soda, Combo, Food, Frozen, Healthy vending machines, Micro Markets, Coin-Op Amusement Games, repair services and more! Please contact these vending machine operators directly for more information about their vending services. Refrinox – Distributors of Vending Machine operators in Caracas, Venezuela. VENEZUELA – Asociacion Venezolana de Venta Automatica Leipziger Service, C.A.- Avenida Milan Edificio Mejor Caracas, Venezuela. Contact: Nelson Mendez.